Students with FASD sometimes have “meltdowns” in school. These melt-downs can baffle and anger teachers, staff, and parents, but they are simply the student’s way of communicating. 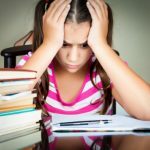 Meltdowns show that a student can’t cope with what is being asked of her or with what is going on at the moment. Students who have meltdowns need school interventions like the one described in this podcast. When a meltdown begins, all goals should change to “getting back to ready.” You can’t force compliance at this point in the game; otherwise, the meltdown worsens. Try the steps suggested in this podcast, and a free PDF hand-out comes with it in episode #012a. Feedback or comments may be sent to: Michael__at__FASDElephant__dot__com.